Google is reportedly working on a standalone Augmented Reality (AR) headset, codenamed Google A65, according to documents obtained by German news site. The Mountain View firm is said to be working with Taiwanese manufacturer Quanta on the AR headset, the same company that was involved in the production of the Pixel C tablet that was launched in 2015, WinFuture claimed in a report on Friday. The headset is expected to include camera sensors and microphones to allow users operate the device using Google Assistant. 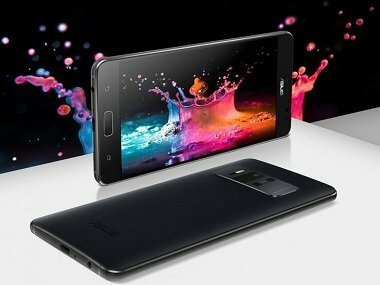 It is said to be powered by a custom quad-core IoT chip from Qualcomm, the QSC603 that supports resolutions up to 2,560 x 1,440 resolution, apart from 1080p and 1030p video capture, 3D overlays, Open GL, Open CL, Vulcan rendering interfaces support; Gigabit wireless, Bluetooth 5.1, and GPS connectivity, and the Android Neural Networks API. Another chipset codenamed SXR1 is reportedly being used. 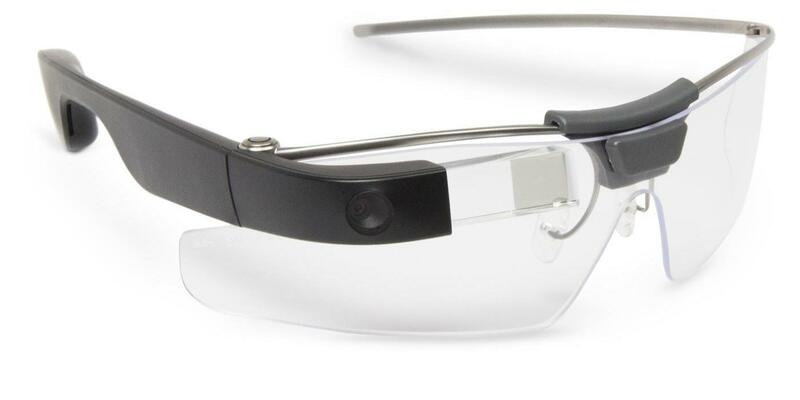 Google already manufactures an AR headset called the Google Glass, that comes with smart heads-up display and camera and was first launched in 2013. In its current iteration, it is being offered to enterprises. The Google A65 headset is rumoured to be having many similarities with Microsoft’s HoloLens in terms of its operation style and chipset. There is no release date yet as it is still in the prototype stage, according to WinFuture. Of course, Apple is also rumoured to be working on a AR/ VR headset of its own, but it is supposedly in its early stages, as per recent reports. Leap Motion, the company behind the weird gesture-tracking controller for PC and VR, is showing off some pretty interesting tech in the form of an AR headset reference design. Whether or not you’ll be able to get your hands on the concept, which incorporates the company’s gesture control hardware, is another story. After all, it’s not the first open-source mixed reality headset, and doesn’t exactly look good. You know, now that I think about it, who exactly is going to bother making this thing besides Leap Motion itself? Leap Motion announced the North Star augmented reality platform in a series of blog posts documenting the construction of the prototype headset, its design, and desired goal of the project. The system doesn’t exactly exist, though. Instead of creating an actual headset, Leap Motion is letting everyone under the sun have at it by releasing the hardware and software specifications under an open source license. “The discoveries from these early endeavors should be available and accessible to everyone,” the company said in its blog post showing off the progress made with its own prototype headset. The North Star AR headset takes the gesture-sensing tech found in the Leap Motion controller and incorporates it into the headset, along with two 5.5-inch displays that project the augmented reality elements onto a transparent lens in front of your peepers. The displays have a speedy 120Hz refresh rate, so animation shouldn’t be too choppy. In the end, Leap Motion’s rendering and prototype of its North Star headset looks like the lovechild of Microsoft’s HoloLens and a pair of Oakley goggles. It also looks like you’re asking for someone to knock your books to the ground while begging for a swirly, but that just might be my middle school trauma rearing its ugly head. Luckily, it’s still only a reference design, and the company has announced no plans to create its own line of headsets, so there’s more than enough time for any interested parties to tweak its aesthetics. Bug-eyed look aside, the novel design allows for a much wider field of view of 105 by 105 degrees, and a 1440×2560 resolution per eye. That wide field of view, combined with Leap Motion’s expertise in gesture control tech, lets users interact with augmented reality elements (like buttons or dials) with their hands, letting you transform your body into your own personal menu bar. It’s all very Mass Effect, which is a win in my book, and a big upgrade over the super small field of view used by the Microsoft Hololens. 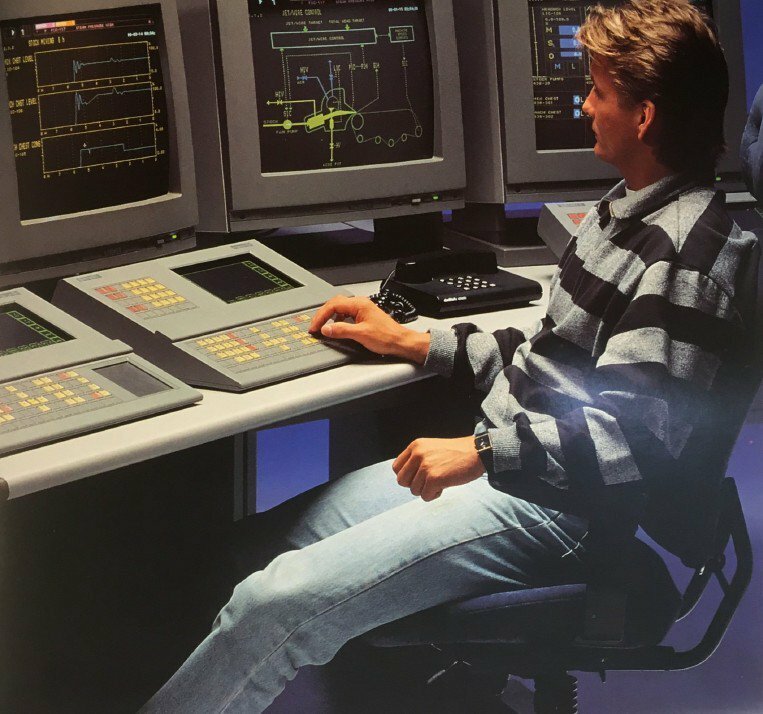 Fusing gesture control with VR and AR isn’t new to Leap Motion in any way. The company’s released attachments in the past that allowed users to combine pre-existing VR headsets like the Oculus Rift with the company’s hand tracking gizmo. According to Leap Motion, the North Star concept’s “fundamentally simple” design means it should cost “under one hundred dollars to produce at scale.” At that price point, one could imagine the technology taking off, held back only by the hardware requirements and its god-awful looks. On the other hand the last open-source mixed reality platform didn’t actually take off either. That was the OSVR, introduced back in 2015, and unlike the North Star it had backing by big players like Razer. Yet no one actually embraced it. Currently, Vuzix makes the iWear, a OSVR-compatible headset, but that’s about it in terms of variety. Even OSVR’s official site hasn’t seen an update since 2016, when it announced OSVR content would be available through Steam. If Leap Motion wants someone to actually make this thing, it better offer more than some open-source designs and an odd-looking prototype. Still, if I can create my own omni-tool without messing with any Salarian tech, sign me up. As of now, there is no news of the device coming to the India market, and is limited to Taiwan for now. The Asus Zenfone Ares features a 5.7-inch Super AMOLED display with a 16:9 aspect ratio, and QHD resolution of 1440 x 2560 pixels. Under the hood, the smartphone is powered by a Snapdragon 821 chipset, which is accompanied with 8 GB of RAM and 128GB of storage. The smartphone’s hardware is compatible with Google‘s ARCore technology. In terms of camera, the Zenfone Ares sports a 23 MP sensor, which has a high-res PixelMaster 3.0 lens. The camera also features motion tracking and depth sensing to enable Augmented Reality Experience. Up front, the smartphone sports a 8 MP sensor. The Zenfone Ares runs Android Nougat out-of-the-box. Fueling the device is a 3,300mAh battery, which comes with Quick Charge 3.0 support. The Asus Zenfone Ares is priced at TWD 9,999, which translates to about Rs 23,000. In July 2017, Asus launched the Zenfone AR in India, the highlight of which was its support for augmented reality, as its name suggests. It sport a TriCam system designed in collaboration with Google for augmented reality applications. When it comes to measuring your fitness progress, there’s only so much your weight scale can tell you, actually there’s only one thing it can convey. That one metric hardly encapsulates all of the successes that active people are looking to achieve. Naked Labs believes that body shape is a more important thing to measure and they’ve begun shipping their body-scanning mirror that builds a 3D model of users and alerts them where progress is being made and where there’s potential for more work to be done. The startup also announced today that it has raised a $14 million Series A led by Founders Fund. Also participating were NEA, Lumia Capital, Venture 51, Seabed VC, among others. The company began taking pre-orders last year for its $1,395 Naked 3D Fitness Tracker. It’s already started shipping out those orders and by next quarter the startup hopes to have the devices generally available. The device consists of two parts, a scale that houses sensors and a computer and the weight scale which spins you around so that the stationary mirror can grab a body scan of a user in about 15 seconds. Soon after, you’ll get your body fat percent, lean mass and fat mass, circumferences, as well as side-by-side comparisons with earlier scans and some graphs that showcase historical data. Part of what makes this device so pricy is that the Naked 3D Fitness Tracker packs some pretty serious internals for a freaking mirror. The device has an Intel x86 processor, RAM, 4GB DDR4 RAM, and a 64GB SSD. All of this is so that the device can stitch the imagery it’s taking into an easy model that it can then beam directly to your phone from the device, meaning that depth data of your body isn’t being uploaded to the cloud and is being handled on-device. On the privacy front there are certainly some real concerns about having a mirror stocked with sensors that scans your naked body. For its part, Naked Labs seems to have made some significant choices to minimize some of these concerns. For starters the mirror doesn’t even have RGB cameras, relying entirely on Intel RealSense depth sensors instead. As a result, what the app ends up getting looks more like a TSA body scan image rather than a 3D avatar. Ultimately, the company is in the business of 3D body scanning. Peloton has certainly shown that people are willing to invest significantly in exercise hardware for their homes, but there are a lot of applications outside of fitness which I would imagine is where a lot of these investors’ interests really lay. Having an accurate body model has a lot of applications for helping consumers pick out items that fit their body and style more. At $1,395 this isn’t the most accessible device to the everyday exerciser, but Naked Labs seems to realize that and it hoping to take some of this funding to scale manufacturing, hire new people and continue working on developing new products.